Introducing a special way to create your family’s legacy. Maximize the impact of your giving. 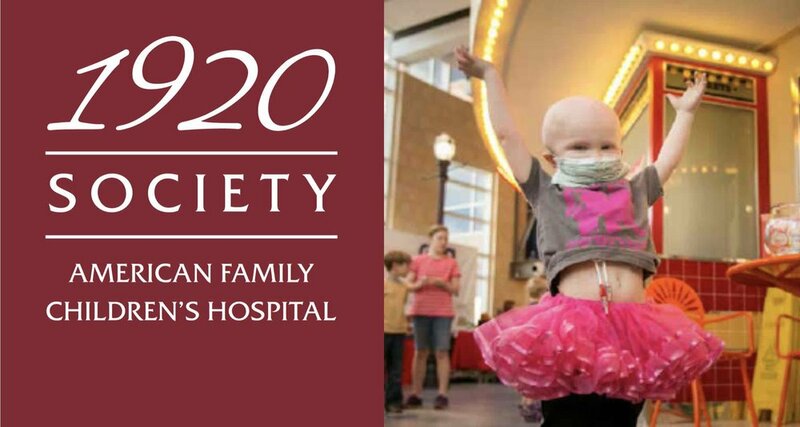 Join the 1920 Society at American Family Children’s Hospital (AFCH). An annual donation of $2,500 will make a big difference for generations of kids who desperately need our help. Plus, the Century Club, a small group of generous donors, will double your donation and its impact. 1. Make a new gift or pledge of $2,500 a year for 5 years. 2. Choose an area or program at AFCH to support. 3. Name your endowed fund. 4. Your gift is doubled by a generous Century Club donor. 5. Your endowed fund is established, and you are a member of our 1920 Society. Your fund will provide sustained annual contributions to American Family Children’s Hospital forever. Family Assistance - housing and transportation financial support for families from outside of Dane County. Why 1920 Society? 1920 is the year the first children’s hospital at University of Wisconsin - Madison was established. As the 100th anniversary of that milestone approaches, we want to ensure that remarkable care and research for children continues for the next century and beyond. Learn more about the history of the children’s hospital.